The hummingbird is the smallest of all birds. Hummingbirds depend wholly on their wings for locomotion. They get their name from the sound their wings make as they fly. 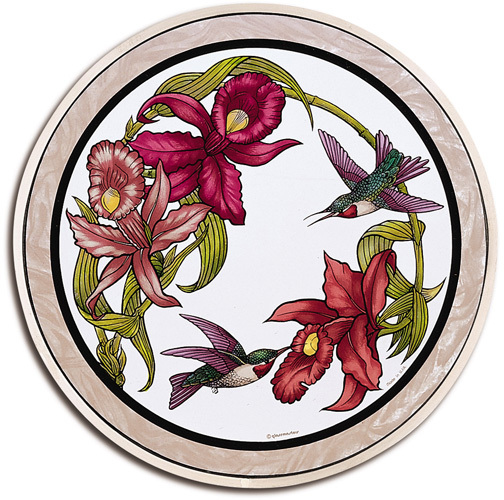 The dainty birds are nearly dwarfed by the lavish orchids in this elaborate stained glass work. For sheer beauty in an exotic setting, this is unsurpassed.